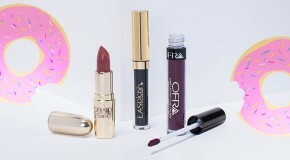 Read on to find out what happened when the Beauty Bay girls let their boyfriends loose with their makeup bags (the rules are simple – no help or instructions of any kind). Jade: This was SO funny! I was impressed by his concentration (he really did try… even if he did give me winged eyeliner with my Anastasia Beverly Hills Dipbrow Pomade!) and I was mega impressed that he had noticed how I used my beautyblender (which he originally thought was a “toy” haha) and copied it with good effect. 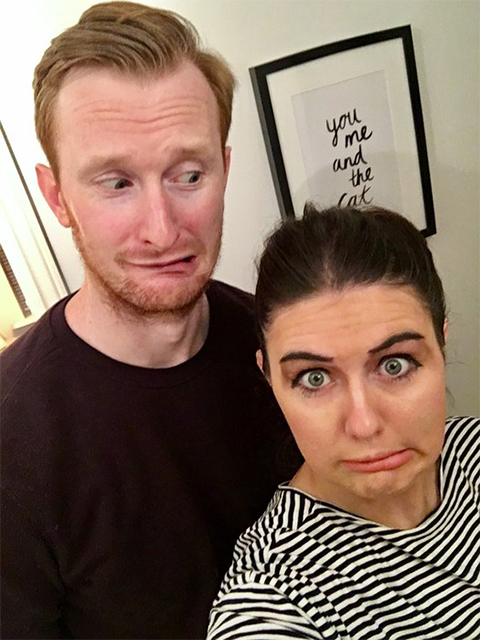 He used pink eyeshadow as blusher, and I had the wonkiest lipliner known to man…but – despite all that, I was very impressed and had expected much worse! Tom: I had a lot of fun doing Jade’s make-up. It was such a laugh. 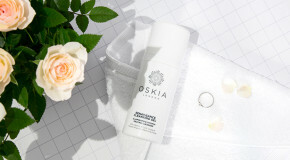 However, I was surprised that loads of the make-up didn’t actually say what it is on the packaging, so there was a lot a guesswork involved in my “process” – as you can probably tell. I found the lip liner difficult to put on, which went a bit (errr, very) wonky, then I found keeping the lipstick in the lines a tough task. All in all, I don’t think she’ll be asking me to do it again. 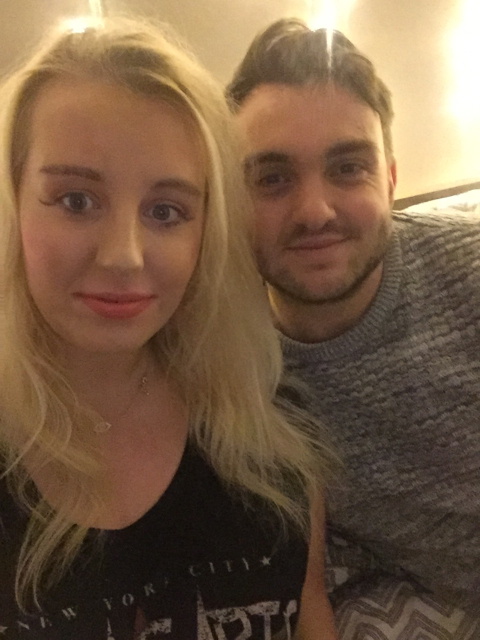 Milly: He used a face contour brush for my eyeshadow, liquid eyeliner on my bottom lash line and put so much foundation on my forehead it set like concrete. He thought the wand of my mascara resembled a hedgehog and my beautyblender was large a mini egg. The L.A Girl PRO.conceal was his favourite product, he used it to cover up when he ‘went out of the lines’. That being said, I was pretty impressed with his highlight and it was a superb effort overall. Gav: When initially asked to do Milly’s makeup I thought it would be pretty easy, but when all the different brushes, powders and creams were laid in-front of me I realised I’d bitten off more than I could chew. I think I did well, but I have had plenty of experience of sitting and patiently waiting for her to finish doing her makeup before going out. The most difficult bit was the eyebrows and doing around the eyes, in the end she did look a bit like a ventriloquists dummy but I wouldn’t say I did too badly. I now have a new found appreciation of how much time and skill it takes to do makeup – I’m glad I don’t have to wear it! Grace: Justin’s definitely never seen me with black liquid eyeliner floating 1cm below my lashline before, but maybe he’s just ahead of the curve and we’ll spot it on the catwalk for SS18? I knew I was in for trouble from the start because he began by applying six pumps worth of foundation to my face (I normally wear two!) – I definitely haven’t worn that much makeup since I was in high school. His attempt to “add depth” to my eyes resulted in a major panda-eye situation – which he attempted to remedy by adding yet more foundation… Suffice to say, he’s no Kevyn Aucoin in the making. 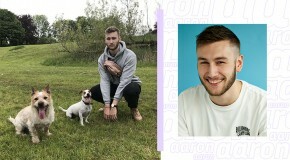 Justin: I’m used to being Grace’s guinea pig – I’ve tried more face masks and moisturisers since we started dating than I even knew existed – but I was dreading this as I like to do things well and makeup is definitely out of my comfort zone. I didn’t know what product went on first or even how much to apply and with what brush. I guess applying the base makeup was rather straightforward, even if I did use three times too much for it. Anything to do with around the eyes was really tricky and I definitely rushed that bit – I was trying for something edgy and different and I was just very wide of the mark! 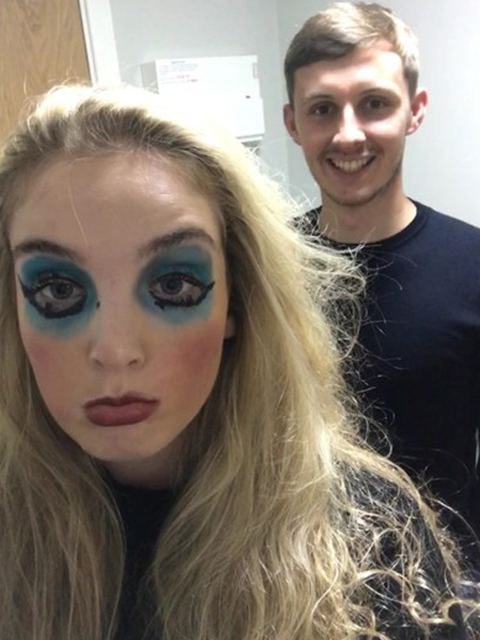 Amelia: The rollercoaster of emotions Joe went through doing my makeup was scarily similar to how I behave getting ready for a night out. At first he was so excited, eagerly twisting my lipsticks and playing with my eyelash curlers before he quickly became overwhelmed with products and their placement and couldn’t be bothered. When his creativity began to shine (?!) he seriously came into his own, whilst I meanwhile was left beyond shocked trying to remember when he’d ever seen me in blue eyeshadow, let alone in giant rings around my eyes! Joe: Much to her surprise, when Amelia asked me to do her makeup I jumped at the chance. Fed up of her waking me up at 6am every morning, I was keen to show her how it was done and done quietly! Having quite the opposite effect, I now know why she wakes me up every morning but do not know how she does it so quickly. With no idea of what to do with anything and an aching arm, I was ready for giving up after a painful & pathetic five minutes. Although I didn’t do Amelia’s face any justice, I hope she won’t be dumping me anytime soon (I love the free face masks) but I can’t see her asking me again anytime soon. 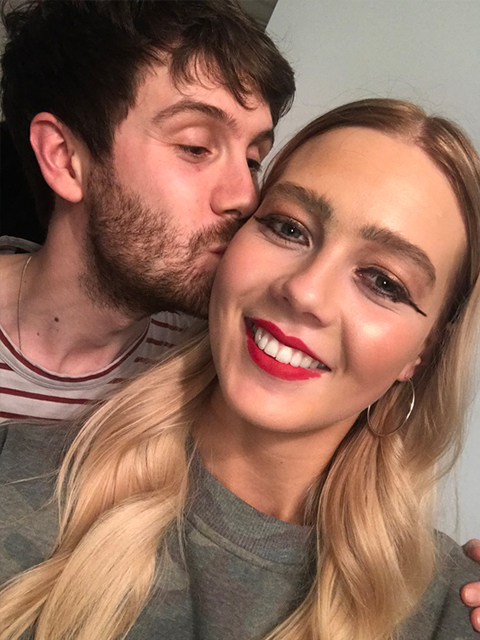 Chloe: I think the fact Chris asked before we began if I could be blindfolded whilst he did my makeup so “it would be a nice surprise” set the expectation of what I was about to get myself in for. After attempting to spray foundation onto my face, he spent a good five minutes massaging it in like his life depended on it. Next up… eyes, and following a few subtle hints as to which products he needed to use (“what’s mascara?”) he remembered that “I always have a thick black line on my eyes” and managed to paint on my eyeliner so it dropped downwards to reach desired sad puppy look. He did however manage to apply blush and highlighter correctly and finished with a touch of concealer “to cover up the spots I missed”. He’s not the next Makeup By Mario, but 10/10 for effort. Chris: Where to start?! How much to use…? In what order…? In all honesty I’m so glad I don’t have to do this every day! There were so many tubs, brushes, palettes I didn’t have a clue what were for so I just grabbed the nearest thing that looked relatively easy to use and went to work to attempt my masterpiece. It was way more difficult that I thought and my aim wasn’t to make Chloe resemble a sad panda, I promise! Beth: So I gave my fiancée free rein of all my make and brushes! What was I thinking?? He began with foundation which he applied with my beautyblender by smacking it onto my cheeks and continually patting!! 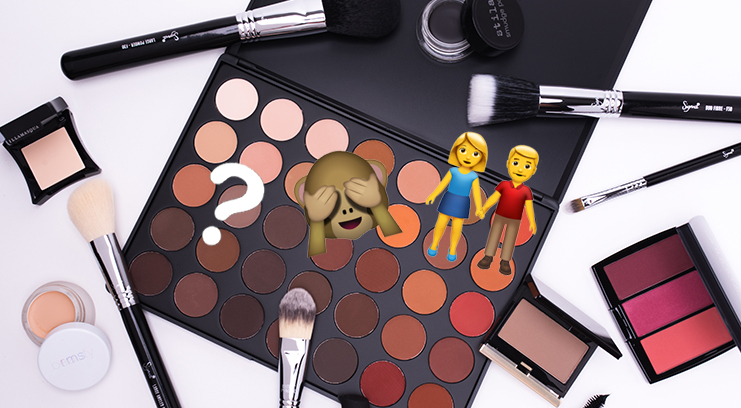 He then said “Oooo what’s dark brown stuff you use to make your bones stick out?” – whilst using an eyeshadow brush to apply the dark contour colour his actual words were “I’m actually getting the hang of this contour thing!”. 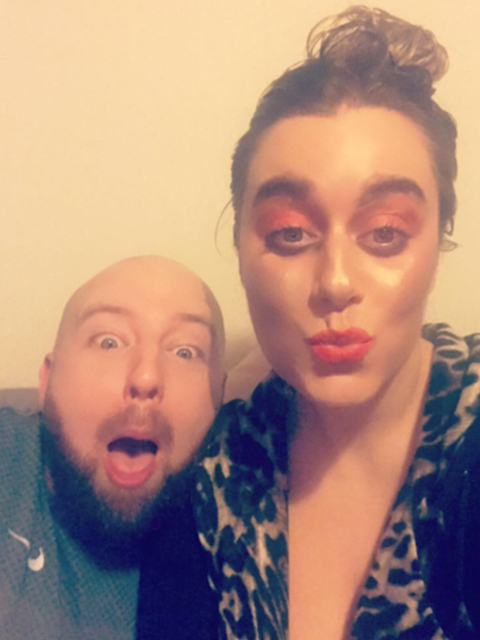 He then went in with ‘That bright stuff that catches the light” – highlighter, applied with my foundation brush to my entire cheeks, nose and forehead. 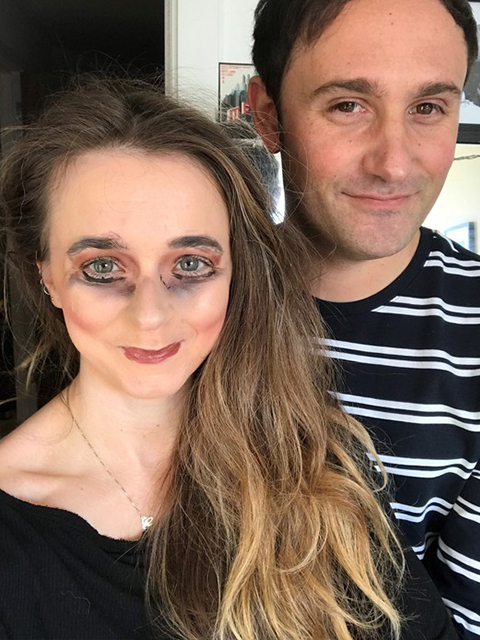 As he completed his look with blusher (scratched into my cheeks he was holding the brush that hard), he told me he is “More than happy to do my makeup for our wedding next year!” – DON’T THINK SO MATE! Danny: When Beth said she needed me to do her makeup for work I thought she meant to go to work in! Then when she told me it would be a laugh and would be documented I thought she was joking – she loves her makeup maybe more than me?! No – she was being serious and I thought it would be easy! I was wrong, it was the most stressful, irritating and annoying thing I have ever done! Having to try to get her eyebrows the same shape and getting that stupidly small mascara brush so close to her eyes without blinding her had me in a blind rage!!! I cannot believe she actually enjoys putting this stuff on her face! I felt bad after though, she spent 30 minutes trying to take it all off and was left with the reddest face ever!! However I think my skills shone through and I obviously offered to be her MUA (as she calls them?) for our wedding!